Transform one machine into three with this extremely versatile unit. 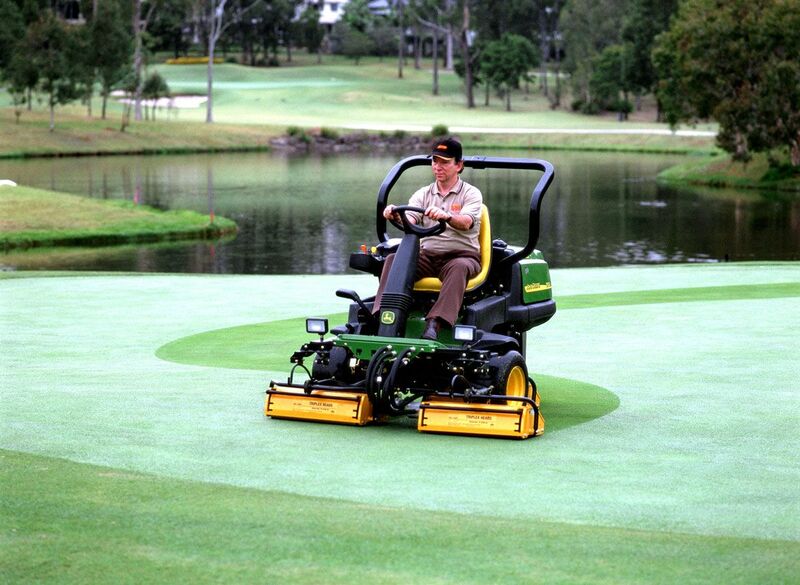 Easily attaches to your triplex greens mower to give you cutting, rolling and slicing in one machine. 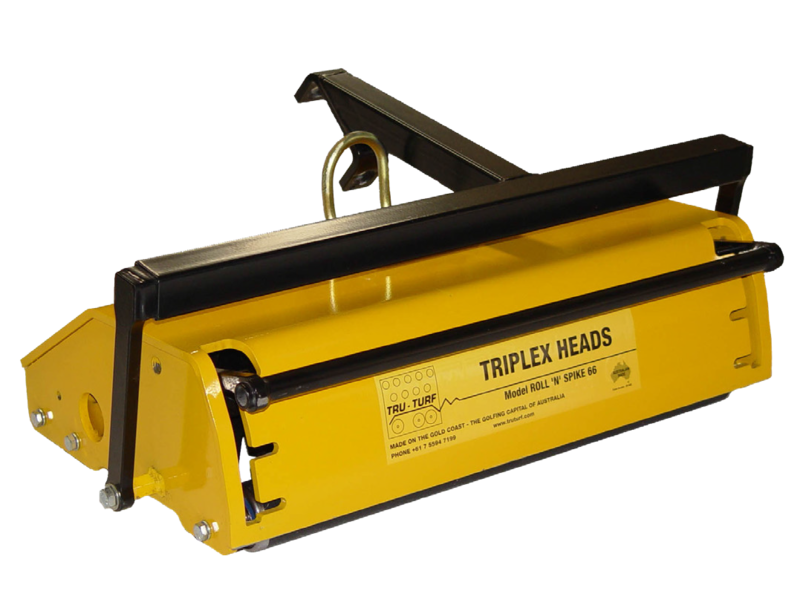 The Tru-Turf triplex head attaches easily to a triplex greens mower, allowing you to roll, slice or sweep/brush in a single pass. Soil condition and turf health are greatly improved by this combination of processes, with no extra effort on the part of the operator. 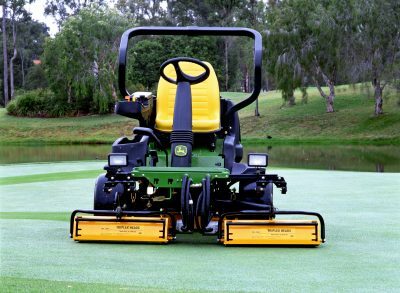 Featuring our proven triple offset roller technology in conjunction with fully adjustable, engageable slicing blades, greens can be perimeter-rolled or rolled in your usual mowing pattern. 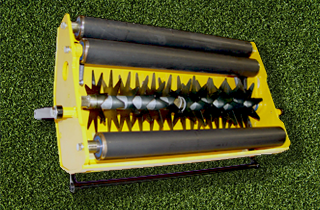 The slicing blades can be adjusted from no contact, to half depth (20mm), to full depth (30mm). The broom attachment has one setting only and is wear adjustable. Tru-Turf triplex heads are easily mounted to John Deere 2500 mowers, Jacobsen 4, 5 and 6 series mowers and the Toro 3000, 3250 series mowers giving you a versatile rolling, mowing and slicing machine. 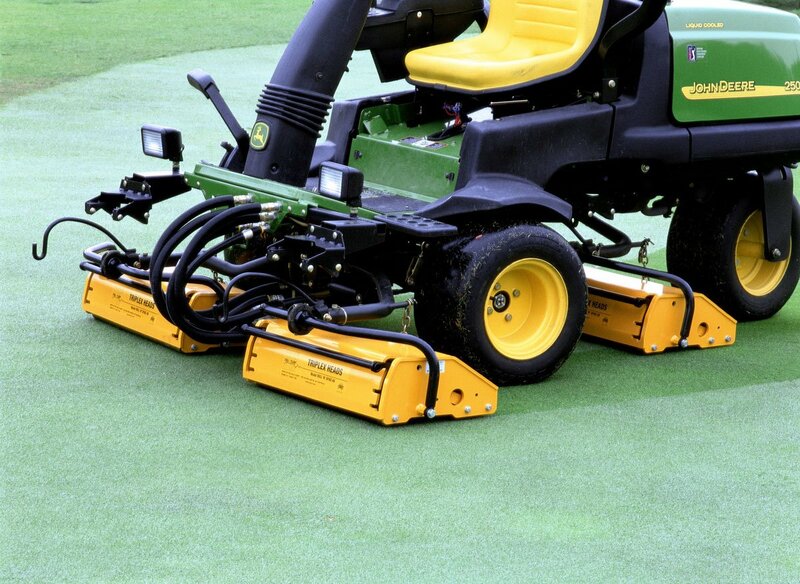 Upgrade your mower so it can roll perfect, crease-free greens in the same pass, with our triple-offset roller system. At only 58kg, this unit achieves exceptional rolling results through its unique three roller combination, not through weight. The engageable slicing blades have three settings, easily changed with a simple movement of the control bar. Weight - Operating 130lb. (58kgs) ea. 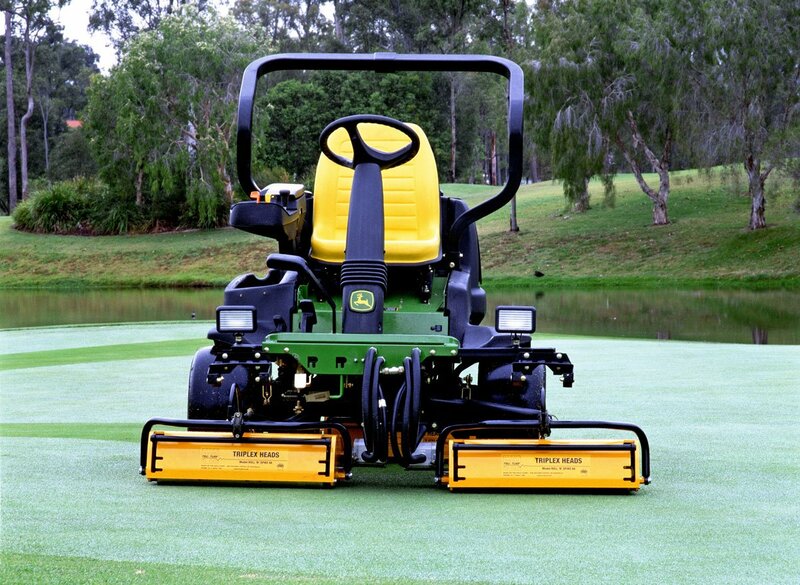 Download all the facts and figures about this Tru-Turf model. Lost? Don't remember ever having one? Either way you can now view and Download your Owner's Manual.